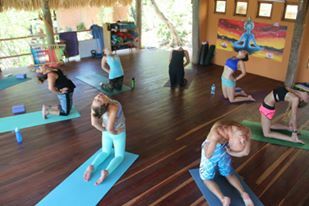 This September, Katya traveled to a retreat center called Costa Dulce, 40 minutes from San Juan Del Sur, Nicaragua to complete her first 200 hour Yoga Teacher Training led by Samantha Lee Vetrano and Tina Bock of Bodhi Yoga Academy. This was the school's first International Training! The school is certified through the Yoga Alliance, and all the teaching certification is in accordance with Yoga Alliance principles. This was a life changing experience. Katya is now certified to teach All Level Vinyasa Flow Classes, as well as Intro to Ashtanga. You can contact her through this website for any group workshops or private lessons! Check out a gallery documenting the training HERE! If you'd like to follow Bodhi Yoga Academy Online, you can follow their Instagram or Facebook!